Tags: Legal Consultant Legal problems/issues, you may contact to us without any hesitations. and many others issues/matter, if you have, you may directly call us and meet us. Office No. A-14, 1st Floor, Court Chamber, Opposite Gate No.2 of City Courts Karachi. I want to let you know about a great classified ad I have just found. 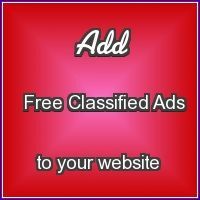 This classified may be found at http://bnsads.com/ads-37996/legal-problemsissues-you-may-contact-to-us-without-any-hesitations.html. Title of the classified: Legal problems/issues, you may contact to us without any hesitations.